In addition to producing electricity, OTEC devices also have a number of other uses. For one, a device can be used for air conditioning and refrigeration. The deep, cold water that is pumped in through the cycle may be used to chill fresh water in a heat exchanger or it may be pumped directly into a cooling system. With enough water, this technique may be able to completely air condition or provide refrigeration for a large building. A second possible application of the device is desalination. In open and hybrid-cycle systems, surface condensers may be used to condense the steam in the cycle. When the condensed steam meets the cold water, the water is basically pure. This clean water may then be sold. 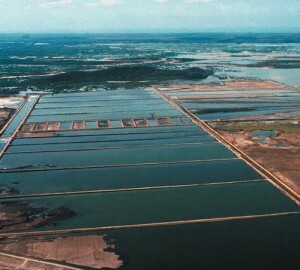 A third application is contributing to aquaculture, or the farming of aquatic organisms. With the flow of water through the OTEC system, many types of fish, algae, and other organisms are able to thrive due to the cold water which is high in nutrients. The idea that OTEC devices might also be used for mineral extraction is also being explored. 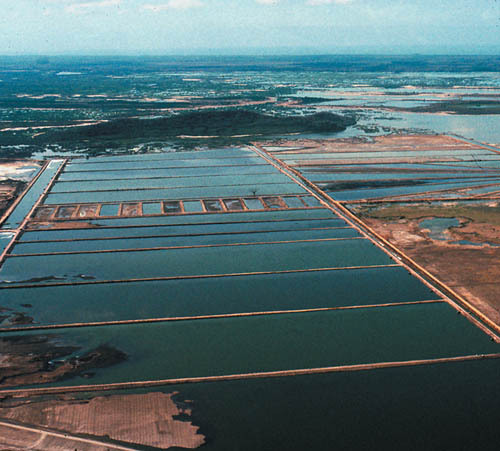 As water is pumped through the cycle, with an extraction process, the seawater may be mined for 57 trace elements. However, because no cheap extraction process has been implemented, this OTEC application has been minimally utilized due to expense (NREL).